Bangalore: It was a leap of faith for Cisco Systems Inc. to announce its first business unit outside the US in Bangalore in February when chief executive John Chambers visited the city. Now with the converged building systems, or CBS, unit ready to roll out products, Cisco says it has brought its technology closer to the market it intends to serve, which evidently is also the market where maximum urbanization is likely to happen. In July, Cisco announced its smart connected buildings initiative, which is about integrating information technology (IT) into buildings to optimize energy use. With 76% of all electricity used going towards running buildings anywhere in the world, multi-billion dollar business opportunities beckon technology providers, particularly the early starters. 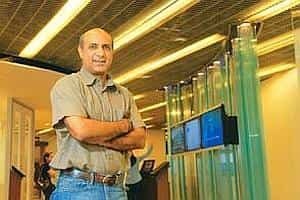 Both the commercial and residential building spaces are worth $12 billion (Rs58,080 crore) each, says Sandeep Vij, vice-president and general manager of the CBS unit at Cisco Systems (India) Pvt. Ltd. In fact, he sees “smart+connected communities" as the “birth of a new industry". The backbone of this initiative, at least initially, is the mediator technology which came through Cisco’s acquisition of a California company, Richards-Zeta Inc., in May. Mediator provides a centralized Internet protocol (IP)-based management of multiple systems running in a building including heating, ventilation, air conditioning, electricity, water, telephony and data. The cost of the mediator and peripherals can start from $5,000 and go up to around $1 million. But Vij is quick to add that with 25-30% energy saving, the return on investment is swift. “Cisco’s timing is right for their smarter, IP-enabled infrastructure across various sectors, given the increasing government funding across the globe," say analysts Usman Sindhu and Doug Washburn at technology and market research firm Forrester Research. The duo has been looking at the smart+connected communities concept ever since it was announced. In June, Cisco signed an agreement with Gujarat International Finance Tec-City Co. Ltd and Infrastructure Leasing and Financial Services Ltd to set up a connected finance city. In February, the Karnataka government came on board to chart a road map for an “intelligent and sustainable" Bangalore. Under its first phase, Bangalore’s transport and police departments are deploying Cisco’s technology. “In the next phase, Cisco is keen to work with our state-run rural BPOs (state’s new initiative in business process outsourcing to enhance IT skills of rural people) and we’ve just begun discussing how a new Cisco-proposed model will complement the existing programme," said Ashok Kumar C. Manoli, Karnataka’s principal secretary for IT. Education and health will come next, he added. Sindhu and Washburn think Cisco has made a smart move, “especially working with city officials to get their buy-in at the initial stages of technology roll-out". Besides Bangalore, Dubai in the United Arab Emirates, Incheon in South Korea and Amsterdam in the Netherlands are the cities where the company is providing flavours of the smarter city infrastructure. But Cisco is also eyeing many technology companies in India which operate large and multiple campuses. “We have a healthy pipeline of responses," says Vij, not disclosing which technology firms are keen on managing their energy footprint. Analysts say Cisco’s strategy lies in the fact that it’s not alone in rolling out this infrastructure. International Business Machines Corp. (IBM)is in the forefront with its “smart planet initiative". In India, IBM has unveiled a digital video surveillance tool for threat and fraud detection and real estate company DLF Ltd is one of its early adopters. “The solution helps DLF with real-time alerts and post-event analysis for investigative purposes, integrated dashboard for security sensors like cameras, access control readers, etc.," said Ashish Kumar, general manager, global technology services, IBM India/South Asia. As these schemes pick up, many vendors will get involved and provide niche capabilities such as security, validation testing and other such services. For instance, say Sindhu and Washburn, Hewlett-Packard Co. has stepped up to provide validation testing for smart meters before they hit the market. But bandwidth guzzlers as these smart services are, poor network infrastructure could play a spoilsport. According to the latest Global Information Technology Report released in March, India ranks a lowly 54 among 134 countries in IT use, with only 0.3% broadband penetration. Forrester analysts say bandwidth is a bottleneck in other parts of the world as well since smart services require bandwidth-hungry applications such as “unified communications, telepresence and Web 2.0". Security is another concern. Sindhu and Washburn say “it is even neglected to some extent". “For example, smart meters that are being rolled out under Smart Grid are not as secure as they should be. They need to be tested rigorously to bulletproof them from being breached." Cisco doesn’t underrate these challenges, says Vij. But for now it’s busy asking, “After voice, data and video, can we now move energy management to the network?"